Somnambulism is the deep artificial sleep, nearest to the walking state, induced by a hypnotist. It may be distinguished from sleep walking or natural somnambulism. As both the states are identical in most ways that the name somnambulism is used for both of them. Hypnosis is known as artificial somnambulism and the other state is called natural or spontaneous hypnosis. These two states are so similar that it becomes difficult to say which is which. The great Britain including England Will come to be flooded very high by waters The new League of Ausonia will make war, So that they will come to strive against them. I get numerous mails every day from people asking me about Past Life Regression, how they can be certain that what they think they are experiencing is really a Past Life experience or something else. There are people who after visiting a Past life Regression Practitioner, become even more confused than before. I have spoken about THE TRUTH BEHIND PAST LIFE ,and how to be certain if IS IT PAST LIFE EXPERIENCE that you are experiencing, in the above mentioned posts, now let’s talk about how to be certain that your Past Life Regression Practitioner is telling you the truth. These are obvious futuristic Quatrains, and somehow appear to be connected to NOSTRADAMUS AND THE THIRD ANTICHRIST; these two quatrains appear to be linked. The first quatrain has been interpreted as the 1799 conflict between the British and the French, and the defeat of the French fleet. I do not agree with this viewpoint, one must keep in mind that Nostradamus has indicated that war will be fought on land, sea and air. This is another great description of the SEVEN CHAKRAS and the functions of the nadis or nerves, as described in the Dakshinamurti Stotra of Sankaracharya . There are nâdîs woven in the antah-karana, like unto threads woven into a net. By them, verily, reaching up to the physical regions of sensation, all sense-organs move, like sparks of fire, towards their respective objects. Very great famine through pestiferous wave. Through long, rain the length of the arctic pole: 'Samarobryn' one hundred leagues from the hemisphere, They will live without law exempt from politics. Mabus is another interesting personality who has been referred to in the prophecies of Nostradamus there is a great debate going on what Mabus means, Mabus has been described as the third Antichrist I don’t agree to this nor do I think that his death will cause the third world war the death of Mabus will cause immense death and destruction which will destabilize the world and usher in a climate of violence and uncertainty. One has to look at this quatrain and the one below it for both are related. The Shani Chalisa is a prayer to Shani or Saturn, this is a very ancient and powerful prayer which vibrates to the unique frequency of Saturn,by reciting this prayer one can reap the full benefit's and negate the adverse effects of Saturn. This prayer is recommended to all those suffering from the adverse effects of the transit of Saturn and those going through the rough period of Sade-Sati. This is a site which explores the Paranormal and Religion in totality and helps seekers of the truth to evolve according to the natural course of evolution which is known to the universal energy itself, please every living being in this universe is an universe in itself our aim is to give practical suggestion's to help you evolve you may modify these suggestion's in any way you feel most comfortable the topics given below will be updated regularly and you may contribute if you have any unique suggestion's to make. These are those quatrains of Nostradamus, which are a most accurate description of how those in power in some countries loot their treasuries, and accumulate wealth by way of money laundering in Swiss Banks. 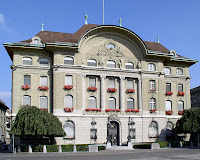 The Swiss banking Code of secrecy and numbered accounts are a boon for these looters. Those quatrains and those, which I have mentioned in NOSTRADAMUS COMING REVOLUTION, and those here appear to be related. These are references made by Nostradamus towards a new republic, which did not exist in his time. The Durga Chalisa is a forty verse prayer to the goddess Durga, the goddess Durga symbolises the feminine force of the universal energy, also known as the divine mother. The recitation of this prayer bestows courage and confidence, and frees one from the karma of past life. It also symbolises the victory of the good over evil. The Laxmi Chalisa, dedicated to the goddess Laxmi is a forty verse prayer written by the sage Sunderdasa. Laxmi is the goddess of wealth, wisdom, prosperity, fortune, fertility, grace, generosity and charm whosoever recites this prayer is assured of success in gaining material wealth and prosperity. The MAHALAXMI MANTRAS can be recited along with the Laxmi Chalisa. The worship of Laxmi and the regular chanting of the mantras is recommended, to those wishing to free their their Karma of all the past misdeeds and also to lead a life blessed with material wealth. The goddess Laxmi protects her devotees from miseries relating to money related matters. Ganesha or Ganapati, is one of the most popular Gods in Hinduism, no prayer or mantra is said to bear fruit unless you worship Ganesha first. Ganesha stands for the absolute universal energy or the primordial sound Om, other GANAPATI MANTRAS can also be recited along with the Ganesh Chalisa. These are the Quatrains of Nostradamus, which describe plagues of a magnitude, which have never been witnessed before. Century 5-90, describes places in the Balkans and Greece where it begins. Century 5-63 describes widespread plagues near the river Tiber, on land as well as on water. There is no great distance between the places mentioned in both these Quatrains and these predictions appear to be interrelated. The two quatrains given below describe a great famine on a Global scale of a magnitude the like of which has not been witnessed before. Nostradamus says that this famine will begin in various places, and then become worldwide. The magnitude will be so great that food supply will dry of completely and people will be forced to eat grass and the branches of trees. It is a well known fact that snakes hypnotize their prey with their fixed and glaring gaze. The prey becomes so fascinated with the snakes glaze that it becomes immobile and ultimately becomes the snakes prey. The animals of prey fascinate their prey so much that the prey’s muscles become paralyzed and a kind of passivity and mental terror is induced. The terror exercised by the larger animals force the smaller ones to yield to them. The fear so generated compels them to come on their own towards their natural enemies, and ultimate death. Some animals when faced with a beast of prey become immobile and start defecating out of rear and terror. The Gayatri Chalisa is a forty verse prayer which is dedicated to the universal mother Gayatri, this is one of the most powerful prayer in Hinduism. The daily reciting of this prayer cleans ones KARMA, this all powerful prayer bestows you with all the material as well as the spiritual benefit's to those who recite it. The THE GAYATRI MANTRA should be recited before commencement of this prayer. The Gayatri Chalisa in Sanskrit and the English Translation in given below. Meditation is auto-hypnotism pure and simple. Meditation as a form of Self hypnosis has many wonderful and amazing inherent curative effects. It is a wonderful method of sitting down, letting go and forgetting everything, in order to be in communication with the Universal and Cosmic Consciousness. By the practice of MEDITATION OF SILENCE, the life force inherent everywhere called pranic energy can be easily aroused to supply you with the abundance of pranic energy. The pranic energy which is generated can be used for healing or for any other purposes. There is Magnetism in the words you utter, and the commands you give. The saying that your voice reveals you is hundred percent true. A powerful resounding and yet soothing voice is a matchless gift. It is an effective instrument to influence people and win friends. Your voice adds a new dimension to your magnetic personality. The use of hypnotism can be used effectively in the eradication of bad habits. Bad habits are counterproductive and are easily acquired, but at the same time, it is extremely difficult to get rid of them. Our lives are governed by nothing else but our habits. Good habits bring fresh air, sunshine, happiness and, health, into our lives. Bad habits cause, gloom, despair, disease, hopelessness, repentance and other negative emotions into our lives. Hence, it is desirable to strengthen our good habits and eradicate bad ones. Magnetic healing is a well-known term all over the world. An operator of hypnosis or faith healing, absent or in person, should have first and foremost a Magnetic Personality, which can inspire confidence in the subject, and dispel all his doubts and insecurities. A robust radiant and healthy personality goes a long way in establishing a rapport with the subject. The resonant, affectionate, but firm words, which come forth from the lips of the healer help in inducing the state of SELF HYPNOSIS, in the subject. Adi Sankaracharaya in the Tattva Boddha tell the students of spirituality the way to acquire Pure Knowledge. This knowledge explains the nature of reality and those who understand this divine knowledge will have no difficulty in understanding spirituality.